Carpet Film by KleenKover is a Clear, Self Adhering Film that Provides an Effective and Convenient way to Protect and Shield Synthetic Carpets from Construction Debris, Tracted in Dirt, Paint Spills, Dust and Damage. Carpet Film provides protection for your Synthetic Carpet for up to 45 Days. Not for use on Wool Carpets. Carpet Film is a 3 mil polyethylene film made with an environmentally friendly, water based acrylic adhesive applied to one side. 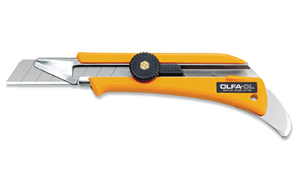 It is highly resistant to tearing and puncturing from sharp items such as tools. The adhesive and the skid-resistant surface allow the film to stay in place and eliminate creases and tripping hazards typical with standard plastic tarps and drop cloths. To remove, lift the Carpet Film from the carpet and discard with no damage or residue left behind. 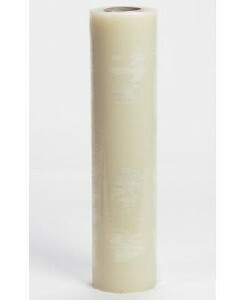 Reverse wound-adhesive means the adhesive is on the outside of the roll for easier application. Applications: Remodeling, Construction, Model Homes, Moving, Open Houses, Inclement Weather, Parties, Kennel Club Shows. NOTE: Not for use on Wool Carpets. 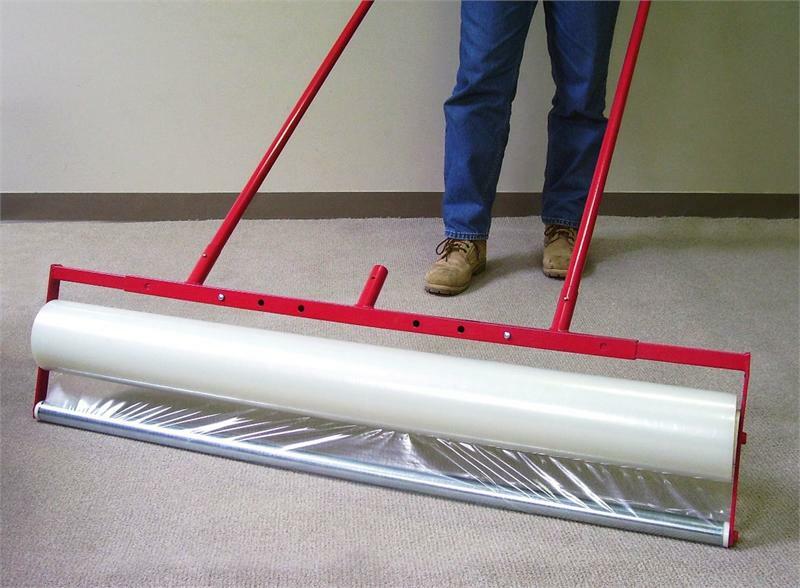 Carpet Film And Hard Surface Film Applicator Adjusts From 24" to 36". 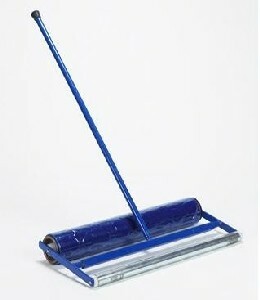 Carpet Film And Hard Surface Film Applicator Adjusts For Widths Of 36", 42", 48" and 60".